Many of you are redesigning your homes or mosques and might be interested in adding an Islamic touch. 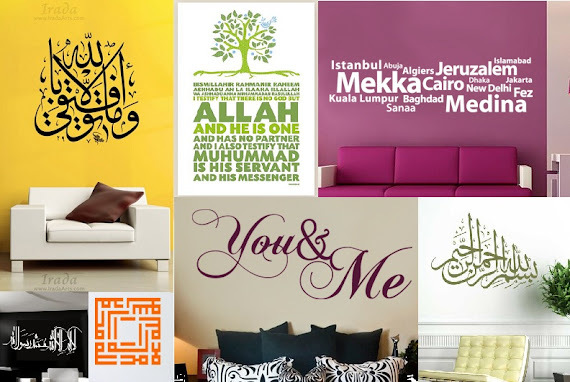 Upon request, here's a list of 6 well known Islamic and Arabic wall art sellers that provide great ayat, culture and calligraphic quotes. Irada Arts have become an institution of interior design. Their large, beautifully scripted decals can be placed almost anywhere and are inspired from imams, ahadith and Qur'an. Custom prints are made to order. 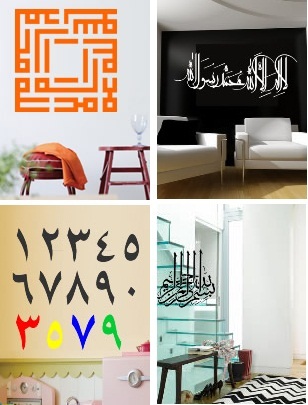 Pictured clockwise from top-left: Ayat ul-Kursi Kufic script; Imam Shaf'i; Kalima; Blessings. Images copyright. Also: yellow decal 'Success is with Allah', main top image, most-left. 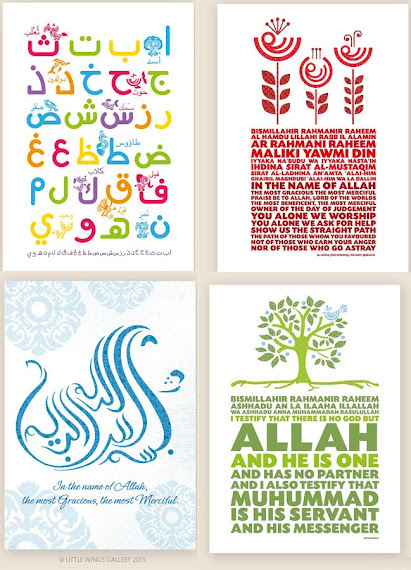 In addition to standard Arabic calligraphy such as the Bismillah, Muslim Prints have a widely customisable wall decal range for kitchens, kids rooms and bedrooms. The blue decal can be customised to any Arabic name and colour. I particularly like the 'qahwa' coffee cup which I see working very well in a multi-cultural cafe. Pictured from clockwise top-left: Name with Stars; Coffee; Muslim Cities; Mosque landscape. Images copyright. Also available: the 'You & Me' print in main image above. The innocent and fun style of Little Wing's prints on Etsy is brilliant. 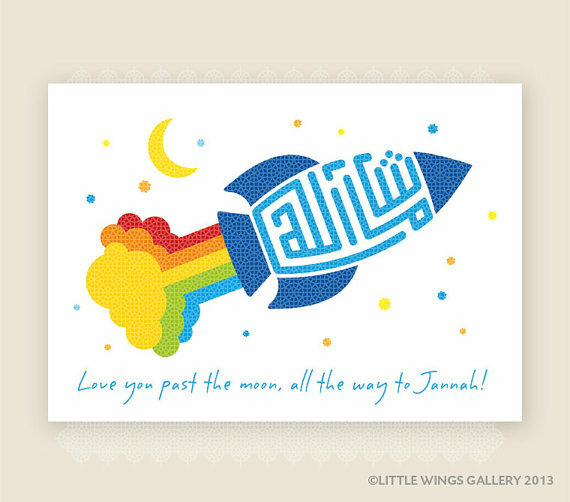 These high-quality wall prints are perfect for zhuzhing up a madrassah or your children's rooms and they do take requests. The colourful Arabic alphabet is a fantastic idea for schools. Pictured from top: Arabic Alphabet; Fatiha; Shahada; Basmallah; Mashallah poster. Images copyright. For even more child-friendly designs try Simply Impressions whose range is also open to customisation. 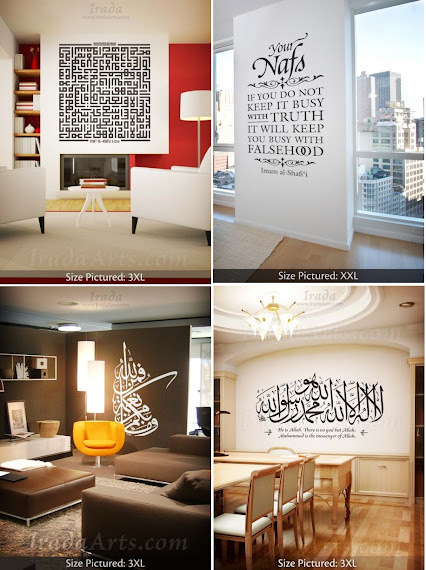 Their unique wall decals (instructions provided) introduce Quranic verses into the home and their designs are more 'artistic'. 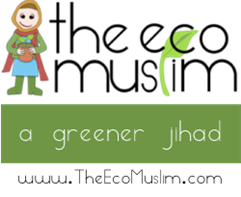 Check out the Fatiha Cherry Blossom on their site to see what I mean. Pictured clockwise: Allah's 99 Names Tree; 4 'Qul Surahs; Iqra; Basmallah. Images copyright. Vinyl stickers are the main material from Simple Stickers, an online sticker company. 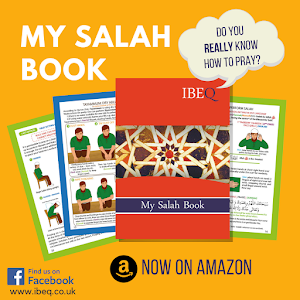 Their Islamic )and maxim-based) range are available in a variety of sizes and focus on various Arabic fonts/types of the Bismillah and shorter Qur'an suwar. Competitive prices too. A criticism of their site is that images shown cannot be zoomed in for larger vews. Pictured from clockwise top-left: Kalimah Kufic style; Kalimah; Basmallah (on glass); Arabic numbers. Images copyright. Enjoy! In need of your duas.